Slipping in and out of rooms silently – you may not even notice my presence, save for the click of my shutter. Chasing light, laughter and love. This is the essence of a photojournalist romantic. I am enthralled by emotion. My couples come to me because they want beautiful photos, but they don’t want to feel staged or pressured on their wedding day. They seek natural pictures and a relaxed atmosphere that won’t add to their stress. They want expertise and style without film-crew direction and being pushed around, and I provide that as a Kent wedding photographer. Hello! I’m Emily and I’m a wedding photographer from Kent, England with a relaxed approach to wedding photography and a natural style. I like to get to know my couples; to find out what centres them – the core of their relationship. How they met, where their first date was. I want to know the emotions they feel and to be able to laugh with them. When you book with me, it is important that we feel as comfortable with each other as possible, to allow for the most relaxed photographs. Pre-wedding engagement shoots, long chats and many-a-3am-long-email in the run up to the maddening process of wedding planning is all a part of my job, and I love it. I go about my work quietly and by myself as much as possible, leaving you to enjoy and be present in the moments of your wedding day. Everything is up to your discretion, and it is entirely up to you how many portraits we capture. If you only want documentation of the exact occurrences and no other portraits of you both, that’s okay. If you want us to plan a few beautiful sessions in which we capture your newly wedded selves in love, I’m totally up for that! If you just want me to pinch you at the perfect opportunities for a good picture, I love that. There will be a lot of giggling and kissing; walking and cuddling. Happy photos of who you are. Relaxed and authentic. We play funny little games and you can have a chat with your new spouse. 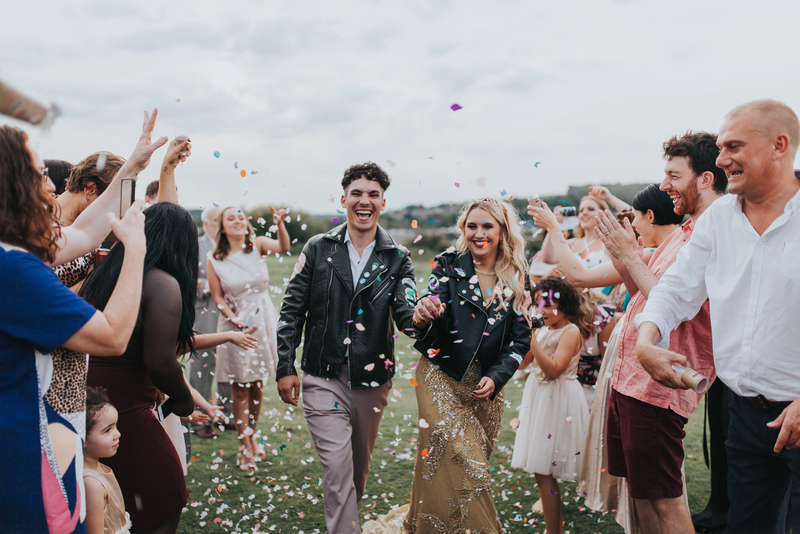 If you want to take a few group photos with your wedding party and guests, I’m only happy to oblige, because although it’s not my usual style, I want you to have everything that you want on your wedding day – it’s your once in a lifetime, you deserve it your perfect way! I create natural images that show the real romance and emotion between you and your partner; I frame the chucklesome dance-moves of your guests and the tear that sheds from your father’s eye as he gives you away. Photography to me is about capturing souls, not necessarily smiles. Happy tears, goofy faces, wistful smiles and raw emotion are my tools to produce stunning natural photographs. I’m always excited to be able to photograph a union, whether it’s a simple civil ceremony in Archbishop’s Palace, Maidstone, an extravagant affair in a tee-pee deep in the Scottish Highlands or the view of the Estuary from The Ferry House Inn, Kent. 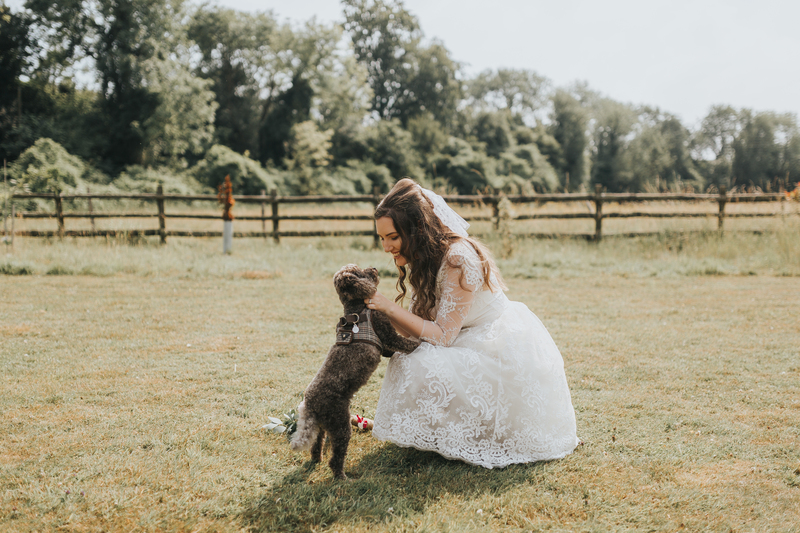 The intimacy of a registry office ceremony can be just as moving as a boho, humanist marriage in a barn wedding amongst rolling green hills in The Garden of England, Kent and just as captivating as the devotion in a traditional church wedding. It is the adoration of two people that will make your wedding special and I’m happy to travel to destinations across the globe to record that. But don’t just take my word for it, take a look at my recent work or have a look at my wedding photography prices and collections. From the biggest expense to the smallest detail, no two unions are the same. I keep my process unique to each wedding. Some photographers may turn up to every wedding and line up the same shots, taken from the same angles, click the button at the same times; then when they get home bulk process 600 photographs, slap a bow on it and hand them over. That’s not me. Every wedding I shoot is unique and requires innovative improvisation and fresh technique. I will use my experience to capture your wedding day as it happens, organically and candidly through eager eyes that take in everything. There is no set schedule you have to mould from; should you not want anything, you simply need to say so – you have your day your way and I picture it honestly. Once we’ve begun discussions about your big day and got you booked in, we can start to pin down all your details: your likes, your expectations from me. I work with you from the moment you get in touch to create the pictures you want; I want to get to know you which in turn, will help me be the best I can be at your wedding. I typically arrive at your preparation location 1-2 hours before you leave for the ceremony and will stay with you throughout the day to capture your and your guests’ every emotion. I usually leave later in the evening once the cake has been cut and the first dance has been danced; wen the evening disco is well underway and your guests are starting to get merry. I consider wedding photography as an investment into your future. Think of it this way: in ten years’ time the cake will be long gone, the favours won’t be around, the venue won’t matter anymore… All that you will have left of your wedding day are your memories: and what better way to preserve those memories than with beautiful, natural, professional photographs that you can relive? I want to picture the happy tears, children’s laughter and meaningful conversations. Whatever your plans are, I will do my best to work with you and produce beautiful images that tell the story of your wedding as a Kent wedding photographer. I’ll be quietly blending into the background of your guests to capture the natural reactions and expressions of the day. I have always preferred to be the quiet girl who wants to observe, take in the story as it unfolds and capture the moments. I think that area of my personality reflects into my wedding photography and furthers my documentary style. I don’t intrude, I am the person there to capture the memories naturally as they occur. Your wedding day is a beautiful, emotional day and I am not there to control it: I am there to immortalise it in candid imagery. I’m a documentary, natural photographer – but I know how important group shots with your family can be to you, so I will also take some. I try and keep this under 10 so we don’t get held up with group photographs (which can be uncoordinated and slow down your day if we’re not careful! ), which we will discuss prior to your day and I send out a questionnaire in which you can confirm your list of group shots before the day. If you have any more questions about how everything works on the day, you only need to get in touch and ask. I love to chat! My immediate goal is to get your images backed up and doubled backed up on my hard drives so that they are 100% safe – you’re trusting me with the biggest day of your life and I take that seriously. Then the road to delivery begins: I will spend hours culling your images to select only the finest photographs we took (every wedding is different, so I don’t specify a set number of images that you will deliver – however, for an example wedding day you might receive between 400 and 700 images for a full day wedding, but this is not a set amount and can vary depending on your individual day) to work on and present you with. From there, I begin processing your RAW files and editing them to a high standard – this process may take a couple of weeks so I can ensure I devote the highest standard and time to your images. Finally, once I’ve checked all your photos – I’ll send you the link to your personal online gallery, which can be password protected and shared with your friends and family! This is usually around 3-6 weeks after your wedding, but can be anything up to around 8 weeks in busier seasons. I then start work on your personal USB presentation box – this will be sent out about a week later and can also be made to hold prints in as well as your USB. 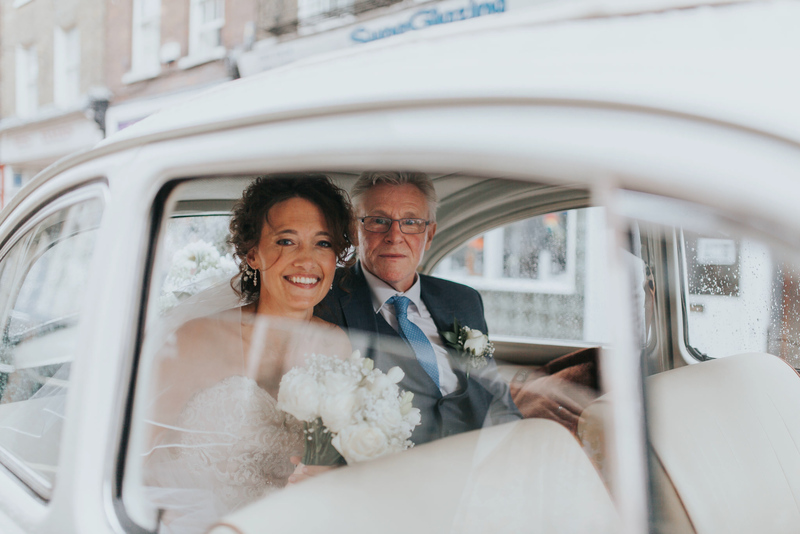 As a wedding photographer based in Kent, so far I’ve only shot UK weddings (I frequently shoot in the South East, London and Essex) – but I’d love to travel worldwide to shoot in the future! In fact, I have a Wedding Bucket List: Any Oversea Wedding, Wedding on the Beach, Tipi / Tent Wedding, Superhero Themed Wedding, Asian Wedding, Underground Wedding, Wedding with a Heavily Tattooed-Bride, Fancy Dress Theme Wedding, Wedding with Fairground Rides, Wedding in South of France, ‘Old Fashioned’ Wedding… If your wedding is on my bucket list, there may be a discount in it for you. For weddings outside of the covered area I will quote a little extra for travel expenses. To secure your date, I require a non-refundable booking fee and fully signed contract. I am a predominantly natural light photographer – I use a mix of natural light and speedlights with soft boxes and umbrellas, making the best of everything available to me, including venue lighting, sunsets and shade! Whatever the situation calls for, I try to make the photo it’s best. You can email me to start discussions about your wedding at hello@emilycrutcher.co.uk or use my on-site contact form. If you’re looking for a bit more information on me as a kent wedding photographer, please take a look at my wedding photography pricing. This is one of the most important questions to ask yourself before booking – or even inquiring. What is it you want from your photographer? Is it a professional film-crew who’ll tell you where to stand and fix your hair every 5 minutes? Or are you looking for something more natural? Someone who captures the things that happen as they happen naturally on your wedding day. WHAT AM I LOOKING FOR IN A CLIENT? I’m looking for clients who want to book me on the sole basis that they love my work. If a low price is the main factor that you value over photographic quality, perhaps we aren’t the right match. While I appreciate many couples are on a budget, you should take time and select a photographer you truly love rather than compromise quality because of a cheaper offer. Photographs are an investment – the only thing that will last a lifetime from your wedding. Show your Grandchildren true quality and book a photographer you adore. LIKE WHAT YOU’VE READ AND CAN’T WAIT TO CONTACT ME? SEND ME A MESSAGE NOW. Talk to Emily Crutcher, worldwide & Kent wedding photographer, now!